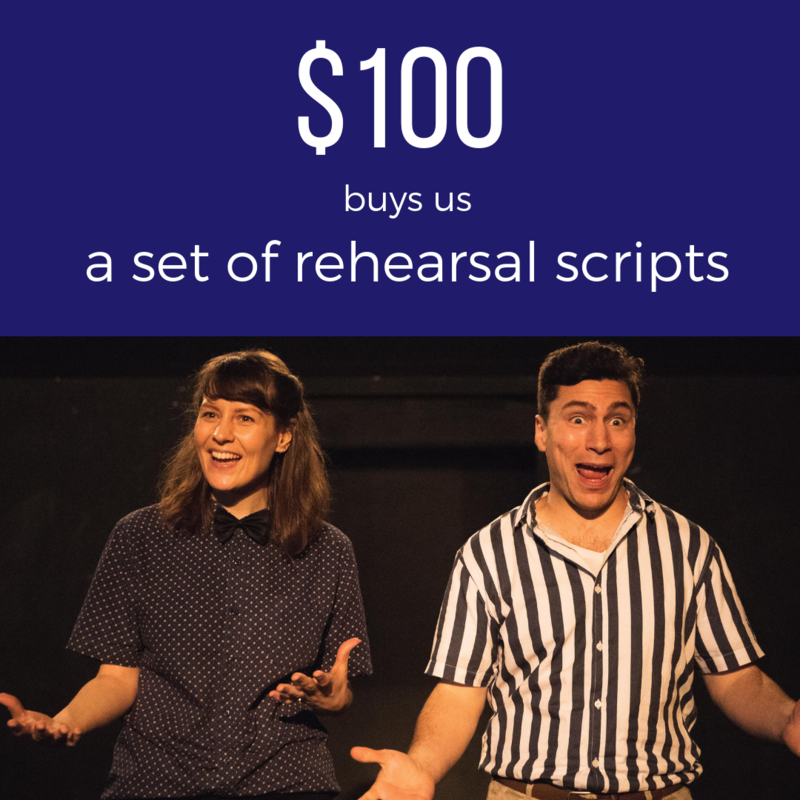 Red Scare is a non-profit theatre company committed to producing high quality works that are accessible to a wide range of audiences. Our decision to keep ticket prices low, ensuring greater access for audience members of all income levels, means that we rely on grants and donations to keep our productions afloat. 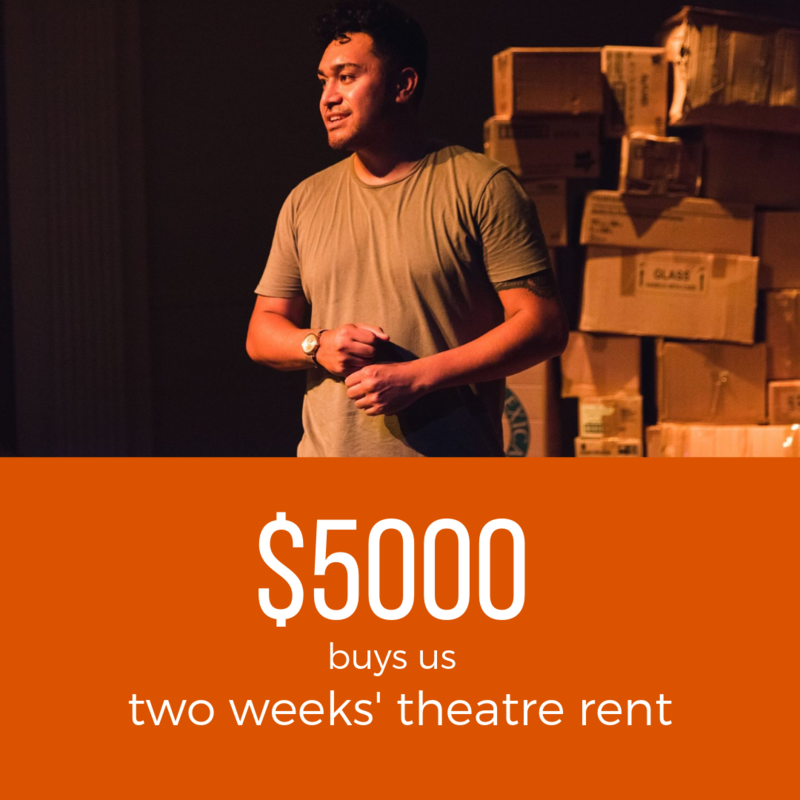 We receive no regular funding from CNZ or other bodies, so private financial support is crucial to ensuring that the show goes on. For Gutenberg! The Musical! we only needed five scripts and scores - but for shows with a larger number of cast members we need a lot more. From M'Lady's meme-plastered Bro Dome, to Yellow Face's avant-garde minimalist space, to The Bone Thief's rustic moving panels: the set is the most important way to build the show's world. 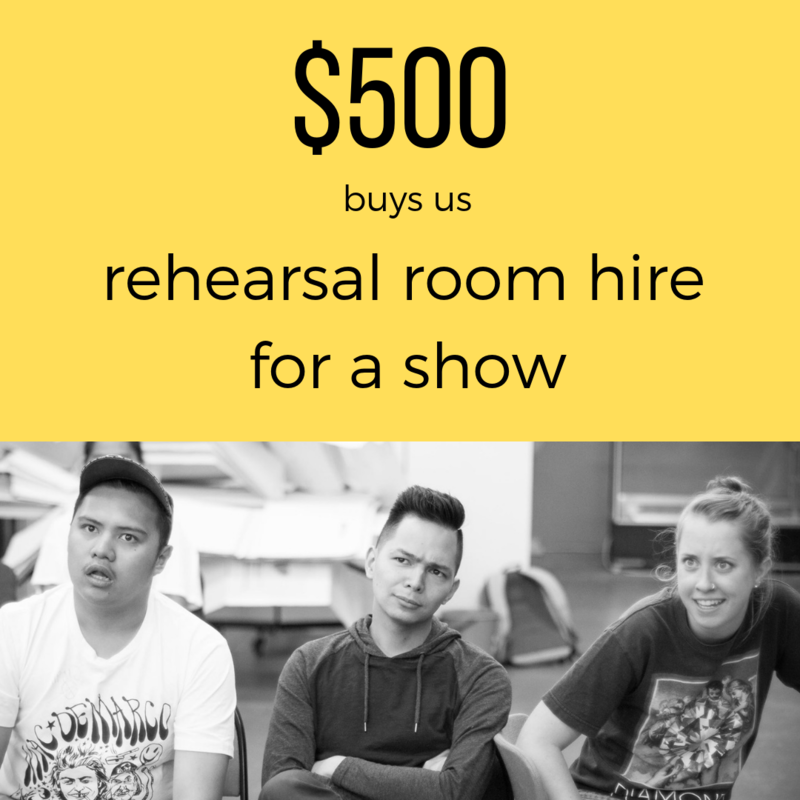 Theatre spaces range in price - some, like BATS Theatre where Movers debuted, take only a percentage of profits, but others are a lot more costly. ...like this bird puppet, seen here in Long Ago, Long Ago. 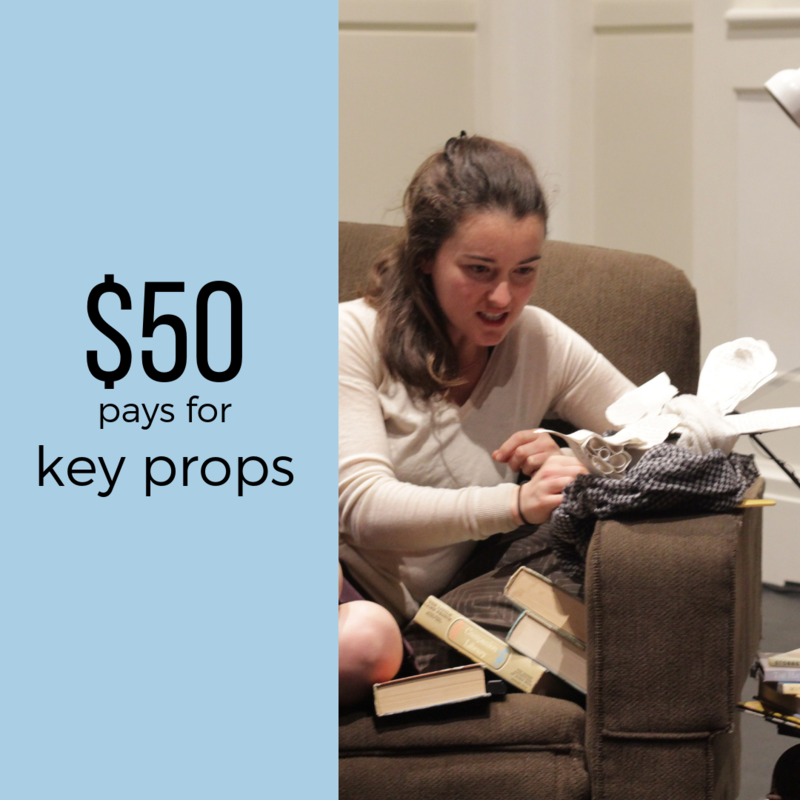 Making sure we have the perfect costume or prop items for each of our shows is so important, and your donation can help cover it! Every show needs to be rehearsed to perfection before opening night. Yellow Face had eight weeks' rehearsal, but some shows have nine or ten. 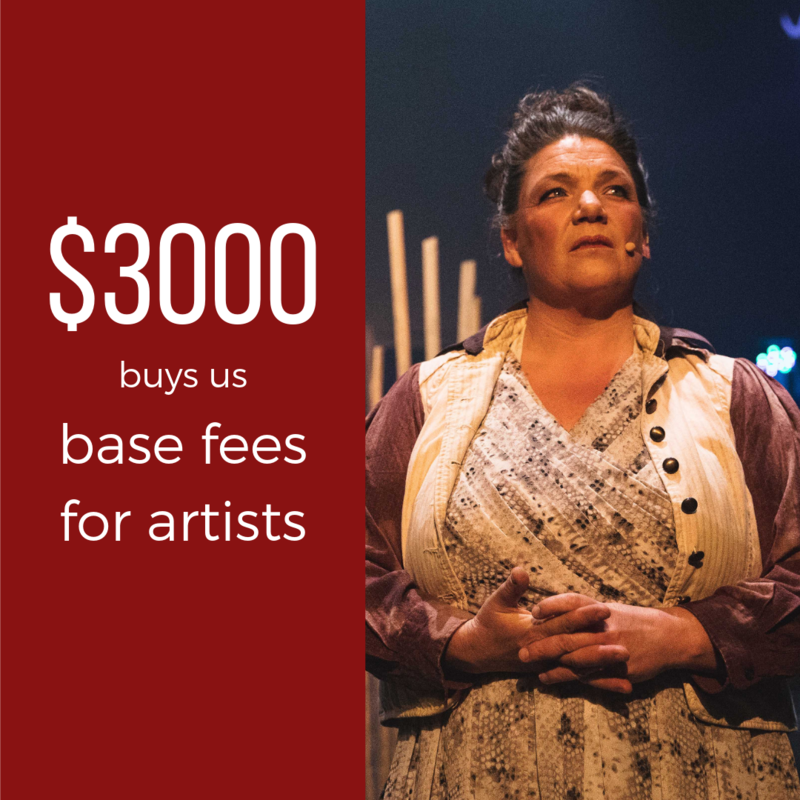 As with many professional NZ theatre companies, our artists are paid through a profit-share model. Unlike other companies, we build a base fee into our budget so that our artists will never lose money working on a Red Scare show. 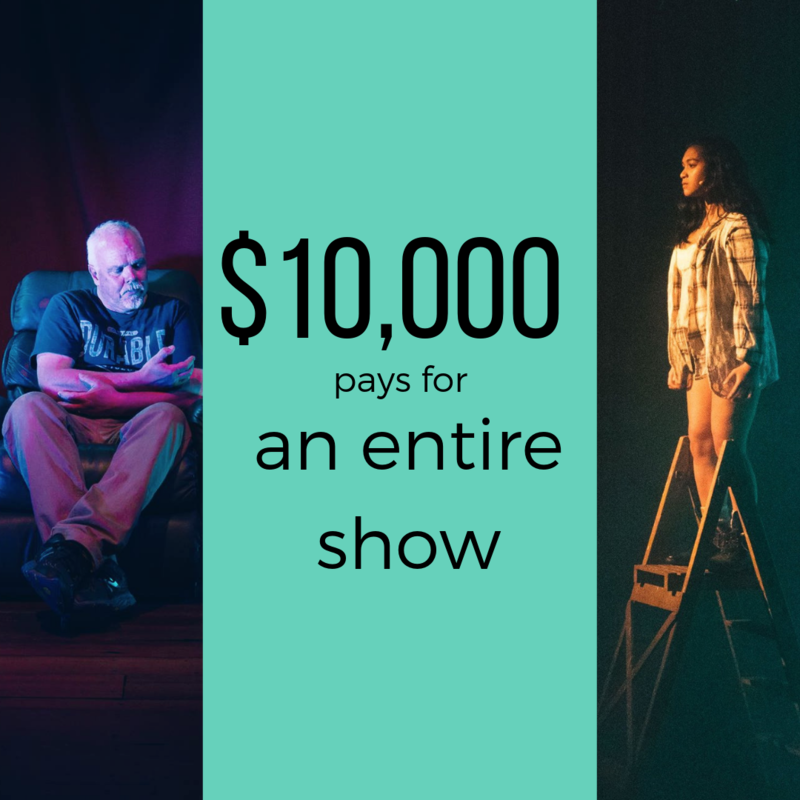 Some shows cost more, and others cost less... but with your support we can make sure the money is going towards the best production we can possibly put on, with artists fairly paid for their time. If you're interested in supporting Red Scare, please contact us at redscaretheatrecompany@gmail.com. 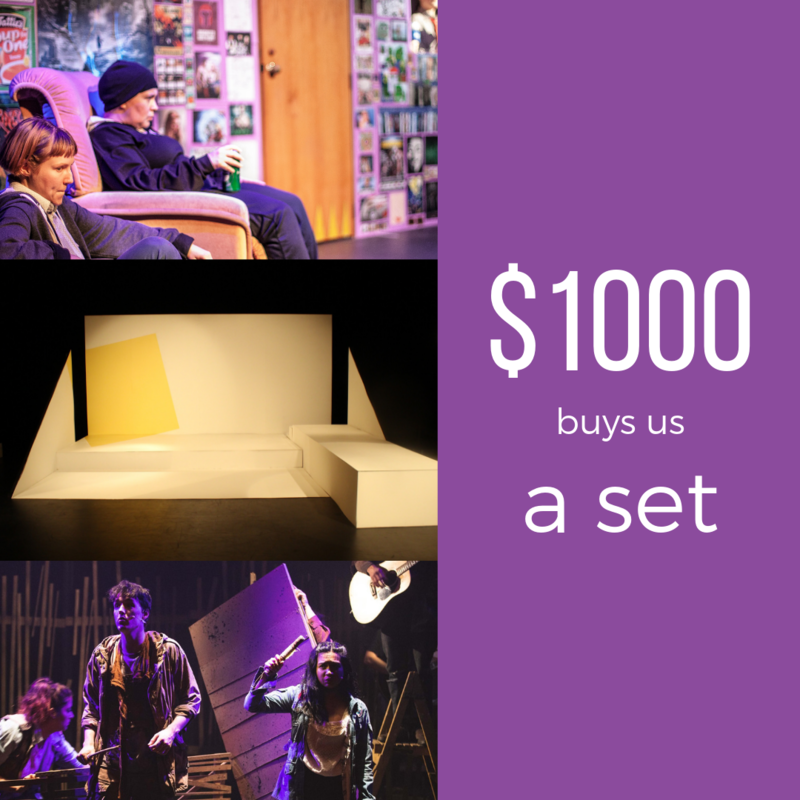 Your generosity can help us create inspiring works of art.